So much has happened, no time to record it! This evening, on the dot of 5pm, our deadline, An Amazing Space was winged over to the printers. Great feeling of relief, and also happiness, that this has been achieved, and that our lovely book will be available to buy during the Amazing Space exhibition. Thank you to everyone who contributed, and a particular massive thanks to Caroline Mornement who masterminded the design and deadlines and everything inbetween. It’s taken so much of my time that other pretty significant events have so far gone unrecorded. So here is an update. The frames for the Mini Prints which I was planning to buy were suddenly unavailable. They had been such a reasonable price that I thought I’d never match that. Step in Ruth Morland from Glastonbury Galleries who matched the price at no profit to herself, and together with her great team of framers, including Dove book artist Thalia Brown and former etching student Jackie Henderson (the Dove is everywhere it appears), knocked 80 frames and mounts out in no time. 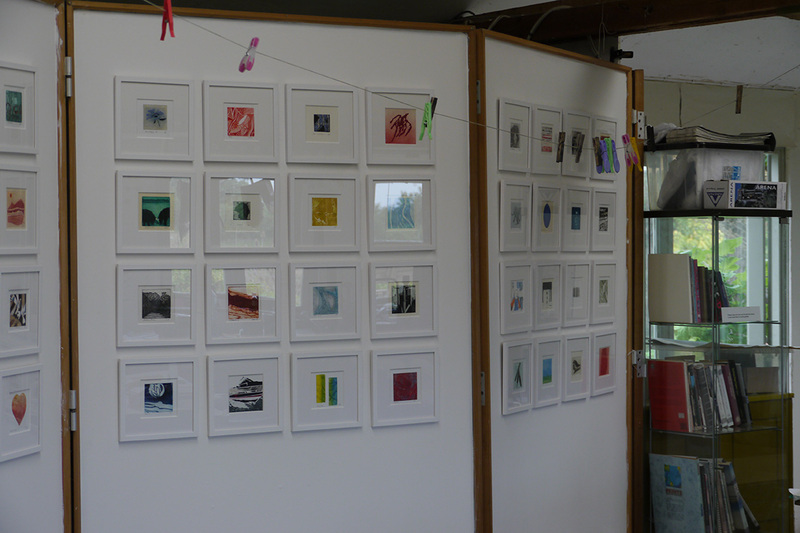 A work party of Dove printmakers – Jenny Graham, Julia Foster, Mel Petty, Pauline Palmer, Pennie Elfick and Andrea Clark got the prints up on the walls and here they are – or some of them. Just a few of the miniprints! Next, Rob Cotterill, garden maker from South Petherton, finished the sculpture garden. 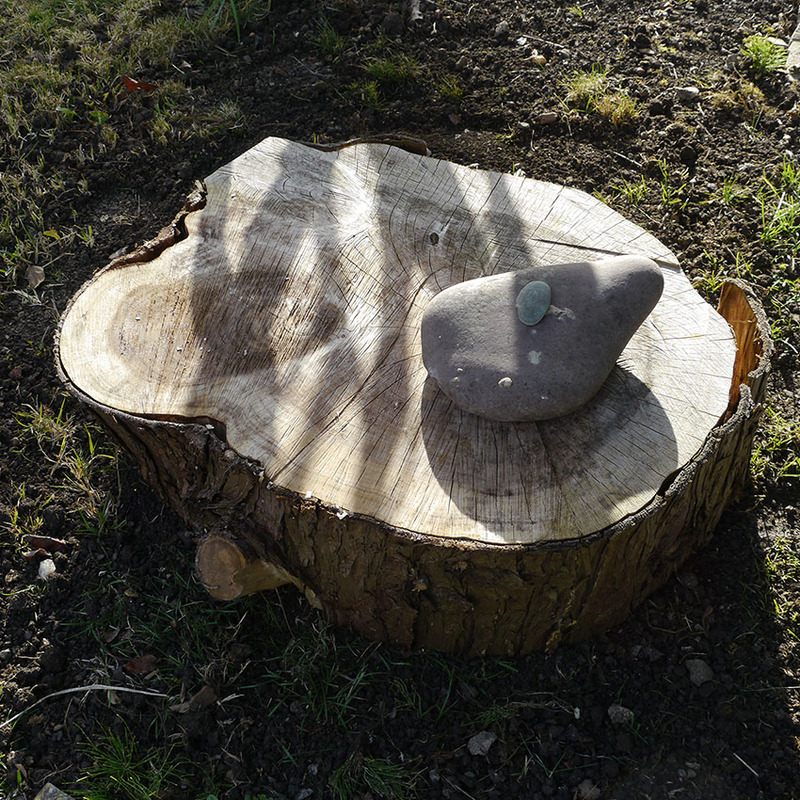 When he left, I found a lovely little sculpture he had made on one of the tree trunks which are awaiting exhibits. 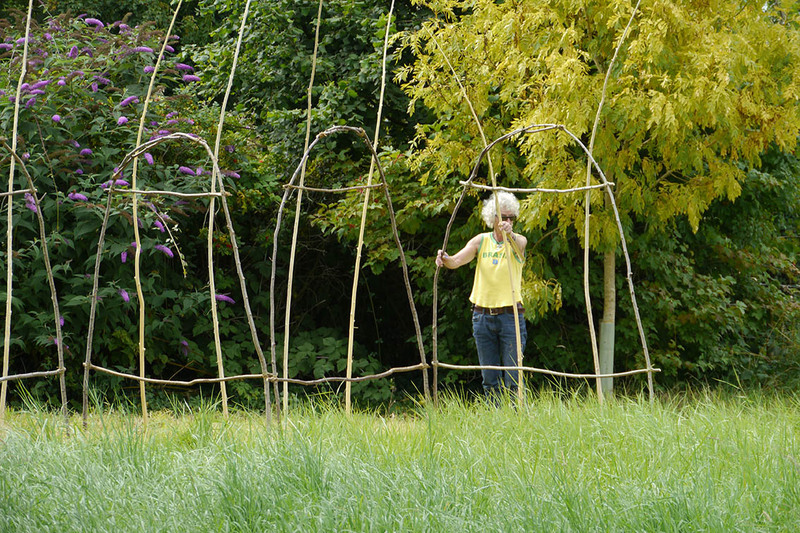 And then, the framework for the outdoor book: Dove Tales, is up, thanks to Freddie Miller who came over today to strip willow for the upright bracing poles. 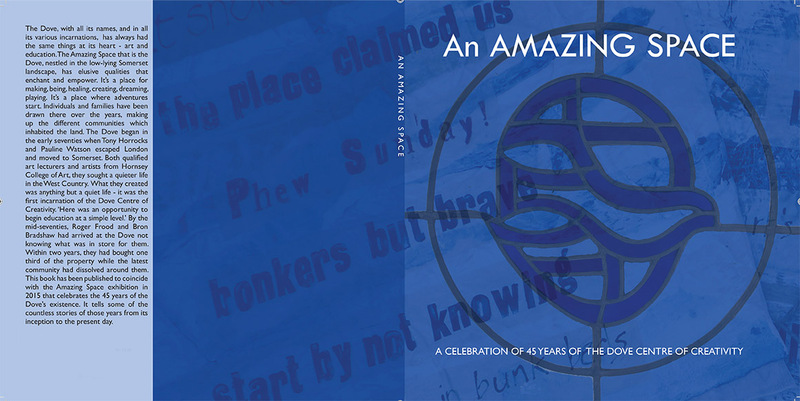 The book awaits its pages…. 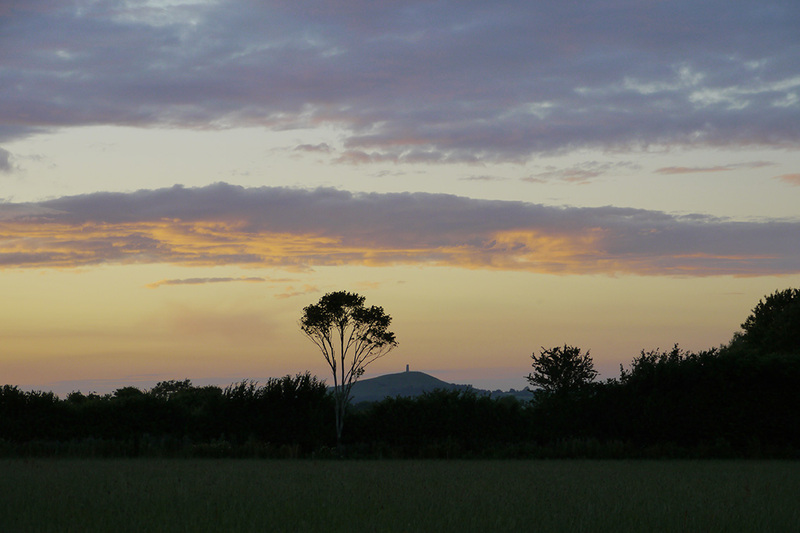 And lastly, in this hurried update, a Tor sunset as seen from the Dove meadow.